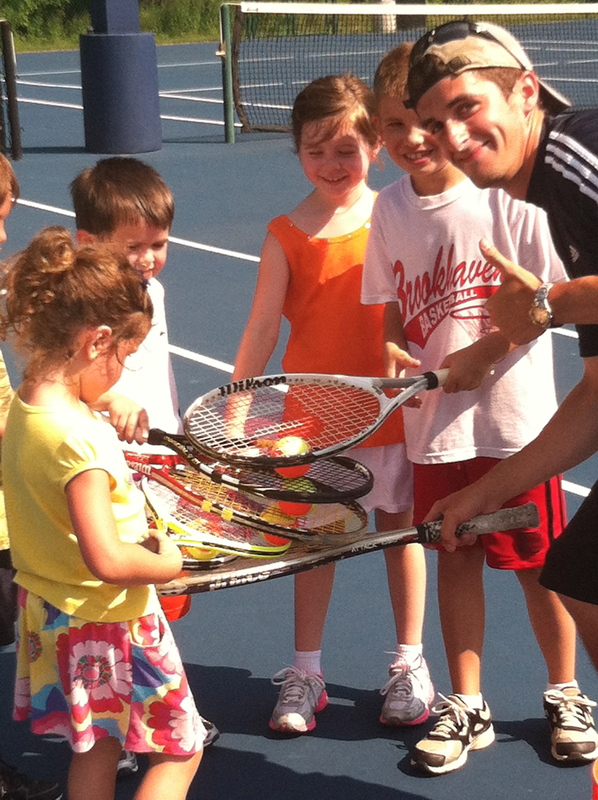 For years, Justin Landis has shared his passion for tennis with the people around him. He’s taking it to a new level next weekend. Landis, of Exton, Pa., will run the 2013 ING New York City Marathon on Nov. 3, officially representing USTA Serves. USTA Serves supports tennis programs throughout the country that utilize the combination of tennis and education to make a difference in the lives of America’s youth, and people with disabilities. A local tennis instructor and volunteer, Landis is among eight runners to dedicate their marathon experience to support the mission of USTA Serves. He pledged to raise a minimum of $3,500 by seeking donations to support his 26.2 mile run. As of Oct. 24, he’s raised $2,225, and is hoping to hit his fundraising goal within the next few days. For the past few months, Landis has followed a grueling training schedule, taking a long run every Tuesday that maxed out a few weeks ago at 19 miles. He tested a number of hydrating and fueling strategies, including Camelbak hydration packs, power bars, gels, and more. He’s also been doing interval training outside, and switches to a treadmill if the weather is bad. Currently, Landis said he keeps an 8:30-per-mile pace during his 10-mile runs, and while he’s not setting expectations for a specific time on race day, he’ll be happy with a time around three and a half hours. He’s looking forward to the finish line, and said he expects the crowd’s energy to help push him through the finish. Instead of listening to music on race day, he’ll listen to the crowd. All of the money raised by Landis will be allocated to tennis and education programs in USTA Middle States, which encompasses Pennsylvania, Delaware, New Jersey (exclusive of a 35-mile radius around New York City) and northwestern West Virginia. The ING New York City Marathon is one of the world’s most iconic races organized by the New York Road Runners Club, and is one of the six World Marathon Majors, along with Berlin, Tokyo, London, Chicago, and the Boston Marathon. To date, USTA Serves has awarded more than $16 million in grants and scholarships to people and programs throughout the country in order to provide at-risk and underserved youth with greater opportunities. That total includes more than $12 million to fund 247 programs in 47 states, including $900,000 to adaptive programs for people with special needs, and more than $4.5 million in college educational scholarships and player incentive awards to more than 900 middle school students and high school seniors. To contribute to Landis’ cause, or for more info, you can visit his personal race page here. For more information on USTA Serves and how to support their marathon team, please visit ustaserves.com.